Matt Cutts has just announced a new tool by Google called Disavow Link Tool that helps webmasters fight bad links that are linking to your website. 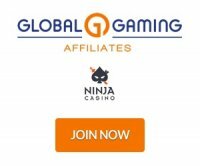 As a gambling affiliate this is a new great tool that can now help gambling affiliates fight back. Gambling affiliates can now breathe a sigh of relief. For many webmasters links is important for ranking along with having great content. But what happens when a site links to you without your knowledge or permission and refuses to remove the link? This has been a problem where bad links pointing to your site can actually harm your SEO efforts. Also with the recent Panda (content) and Penguin (link) updates, many affiliates that have been hit by penalties are struggling to clean up their links including bad links. Up until now webmasters would be left helpless if a bad link started pointing towards their website. In some cases webmasters would get spammy links pointing towards their website both in bad quality and in volume. Up until now webmasters were left in an uncomfortable position especially if they did not create the bad links themselves. They could try to contact the sites linking to them but it is common that they don't get a reply or someone wants money to delete the links. If one of your competitors paid for bad links to try to do negative seo on your site (push down your rankings) then you can almost guarantee that you would either have to pay to remove the link or if the competitor owned the bad site, you were helpless. You could submit a reinclusion request to google but this process takes time and the results have varied from webmaster to webmaster as penguin is an algorithmic filter rather than a manual. In Matt Cutts announcement he reserved a warning for webmasters to really know what they are doing before they try to use this. @ksom: It was only a question of time that Google releases this tool as negative SEO has become very popular especially after the first penguin update was introduced.